A Washington state high school football coach, who was suspended for kneeling in prayer after the end of football games, has suffered another legal setback in his quest to be reinstated and it is looking more likely that he might have to appeal to the U.S. Supreme Court. Joe Kennedy, who coached at Bremerton High School before he was suspended in 2015, was denied his request on Thursday for an en banc hearing before the entire United States Court of Appeals for the Ninth Circuit after a three-judge Ninth Circuit panel ruled against him last August. "A judge of the court called for a vote on the petition for rehearing en banc. A vote was taken, and a majority of the non-recused active judges of the court failed to vote for en banc rehearing," a court document reads. 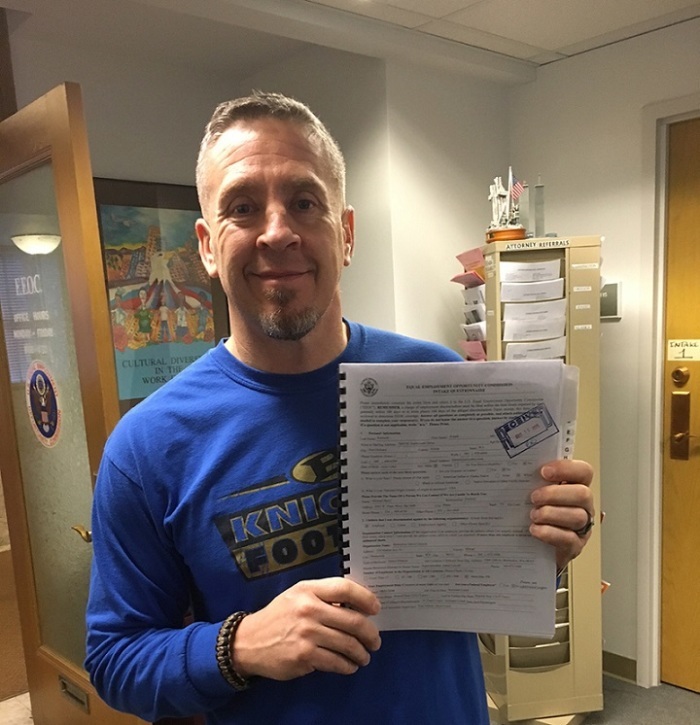 The Ninth Circuit court's August ruling came after a federal district court ruled that the Bremerton School District was justified in its course of action against Kennedy and refused to force the school district to reinstate the football coach. The appellate court ruled that Kennedy's public prayer could be seen as a public school endorsement of religion, thus a violation of the Establishment Clause of the First Amendment. "Banning all coaches from praying just because they can be seen is wrong and contradicts the Constitution," Kelly Shackelford, president of First Liberty Institute, a conservative religious freedom law firm representing Kennedy, said in a statement. "We will keep fighting on behalf of Coach Kennedy until his religious liberties are fully restored, including appealing this case to the Supreme Court of the United States." Religious freedom advocates have maintained that if the school district's punishment of Kennedy goes unchecked by the courts, a dangerous precedent will be set, not only for Christians but followers of other religions as well. "It is disappointing that the Ninth Circuit would refuse to hear Coach Kennedy's case en banc, especially in light of the extreme, far-reaching opinion issued by the three-judge panel," First Liberty Deputy General Counsel Mike Berry said in a statement. "If this decision is allowed to stand, Jewish teachers can be fired for wearing a yarmulke in sight of students. Catholic teachers are at risk if they wear a crucifix, and Muslim teachers may face discrimination for wearing a hijab to work." According to court documents, Kennedy began his prayer tradition of kneeling on the 50-yard line at the end of football games in 2008. Though he waited until everyone was off the filed to pray silently, he was frequently joined by members of his teams. There wasn't a problem with the prayer tradition until an employee with another school district complained about his prayer in 2015. He was soon ordered to stop praying after games. Despite the order, Kennedy stayed true to his faith and continued with his post-game prayer tradition. His contract wasn't renewed. He filed a charge of religious discrimination with the Equal Employment Opportunity Commission against Bremerton School District and then a lawsuit in 2016.